Is your New Year’s resolution to finally save some money, but you just so happen to be a serious shopaholic? Well you’re in the same boat as me. (Read More: How to Keep Your New Years Resolutions) I am constantly making plans to travel the world and telling myself I WILL save money, just after I buy these shoes… that go perfectly with this dress. Yes, it happens every time, and of course I still haven’t made enough for my dream trip. Well this New Year is going to be different and it can be for you too – whether you want to save to travel to paradise or buy yourself that one designer handbag you’ve had your eye on. You just need to get yourself the perfect Capsule Wardrobe and your goals will be met in no time. In simplest terms, a capsule wardrobe is an extremely downsized wardrobe made up of versatile staple pieces. The idea originates from 1970s London, when boutique owner Susie Faux coined the term. Designer Donna Karan then brought the idea to the U.S. a decade later with her “seven easy pieces” collection. Traditionally, capsule wardrobes include approximately 30 items or less, with Faux recommending less than 12. The wardrobe can be added to a couple times a year. The definition of a capsule wardrobe has evolved over time thanks to ideas from style bloggers like Un-Fancy, whose capsule wardrobe includes 37-pieces rotated every three months. At its core, a capsule wardrobe is ultimately meant to promote a minimalist style and save money, time, and space — things I’m all for! To me, a capsule wardrobe should include ever-lasting clothes and reusable accessories that will take you from the office to the dance floor without your friends hearing you say, ‘but I haven’t anything to wear – I need a new outfit’ for the 100 billionth time! I’ve been busy collaborating with Betabrand.com to come up with the essential wardrobe I believe every woman needs to save them time, money, and hassle for every morning and every event. 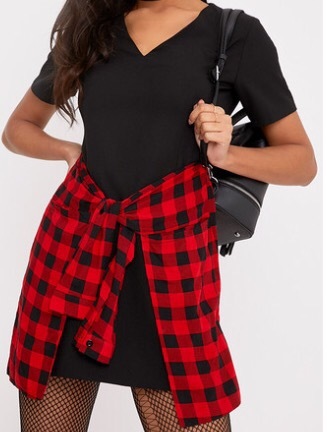 To save money, time and effort you want your wardrobe to be full of gorgeous items that can be everyday wear for the office and can easily be accessorised to take you through to the after work drinks and spontaneous night-time dancing. If you love the items you’ve chosen, you will always enjoy wearing them over and over again, styling them in new ways. These are the 6 essentials you need to own and can easily purchase online to complete your capsule wardrobe. The most versatile item on this list is definitely the Betabrand pants. I love these pants because they are the ideal office trousers – comfy, stylish and smart – yet totally multi-functional. The stretchy material gives you the flexibility to still do yoga after work or in your lunch-break and the skinny leg gives you a flattering shape when paired with heels and sparkles for a night out. Hallelujah to the 2-in-1 amazing trousers! They also come in every style to suit your body shape including Cropped-leg for petites. Black is a great colour to opt for because it goes with everything but I also love the dark grey yoga pants too which are just as everyday. Once you’ve got your comfy trousers in a classic shade you need one more option for work – a simple and smart pencil skirt. I chose this faux leather midi because it’s a fab neutral shade to pair with a crisp white shirt for work or crop tops for the evenings. Find the pair of women’s pants you love most here. These are my steps to curating your own capsule wardrobe, without sacrificing style or the joy we all get from fashion. Firstly – do you really need everything that’s in your wardrobe? We both know the answer is No. So don’t wait until Spring — have a wardrobe clean out today and get on Vinted or eBay to make some extra money. Those poor clothes that still have their tags on need a caring home. It’s just plain clothes cruelty! Check out my Vinted page for cheap dresses, tops, jumpers, trousers and skirts for sale in great condition. Guess what happens to the “other” category? That’s right — go back to step one and get rid of those clothes! Make sure you do this for each piece of clothing — bottoms, tops, accessories, and shoes. Now, building a capsule wardrobe can be an unexpectedly emotional and difficult process. That’s why I think it’s important to compromise and give yourself a little wiggle room on your favourite part of fashion, meaning allow yourself to have a little more in this area. For me, that’s accessorizing. If you’re like me and accessories are your thing, think bold statement but neutral shades of additions that can easily be paired with your essential outfit. Sparkly jewels, chunky black boots and a sturdy tailored handbag (big enough to fit all of your daily necessities!) are just what you need to tick off all the essential items on your shopping list. Once you have your essentials, start pairing them with each other to make sure you can make a number of outfits with them that will keep you excited and happy. Did you know that with just 27 pieces you can make 100 outfits!? The possibilities are endless, so bring your creativity and imagination with you. Set a schedule that works for you when it comes to refining your capsule wardrobe and going through the above steps. This can be the well-known 3 month rule, or more or less often, depending on how you feel. Again, we don’t want to take the joy out of the fashion we love, so figure out what works for you. The number one rule is that you LOVE what you own and wear. The moment you don’t, it’s time for a change! I hope this blog post has given you some New Year inspiration to get yourselves a Capsule Wardrobe. 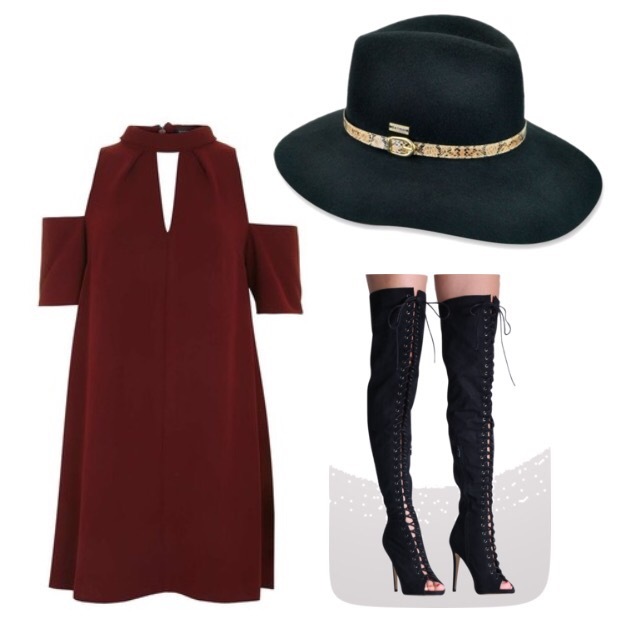 What to wear to watch the Super Bowl 50? NFL Superbowl 2016 is just around the corner, and whether you are lucky enough to be be watching at the Levi’s stadium in California or chucking back some beers cheering at the tele, it is important to get your look on point. If you are looking for NFL tickets, or any other tickets for that matter, be sure to check out TickPick! I have put together a few match-day outfit ideas for whatever style you are going for and to keep you looking stylish and bang on-trend this season. And of course you don’t have to break the budget to look fabulous. 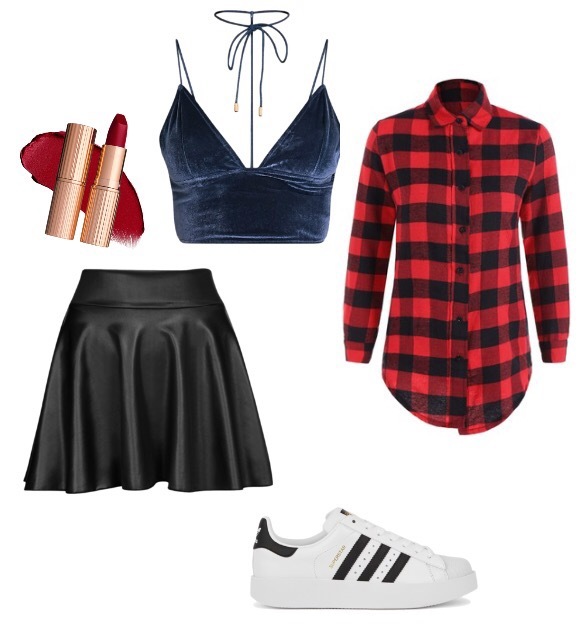 If you’re a die-hard football fan you need a game-day outfit to match and show your support for the team. Keep it casual and comfy for all the cheering and why not show some extra support by painting your nails in your favourite team’s colours. With Lady Gaga singing the national anthem and Beyonce and Coldplay performing at halftime, I’m surprised the teams are even showing up. If you feel the same way, go for more of a flashy game-day look with a little bit of fashion oomph. I hope have given you a little bit of inspiration for whatever game-day style you were going for. Are you a fashion expert or a fashion failure? Well Farfetch brings you the moment of truth with this awesome quiz called Guess the designer. Do you know your Versace from your Vera Wang. And do you know them under pressure? The timed quiz will put your designer knowledge to the test, asking you to distinguish iconic garments of the famous brands. Do you know your Dolce & Gabbana from your Donna Karan? Are you up to the challenge? Give it a GO and I’m sure you will score higher than me…. The ticking clock really got me panicked! 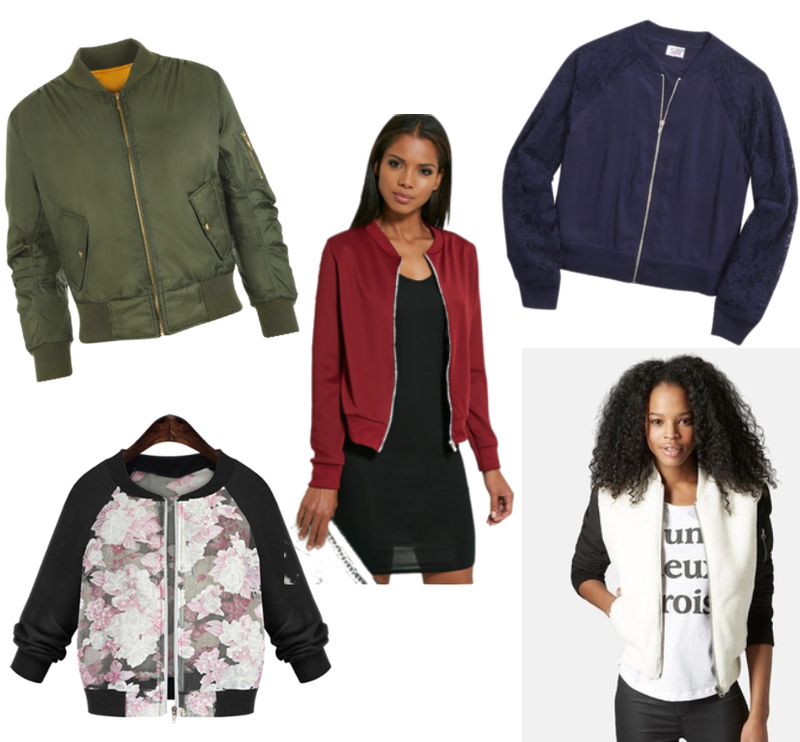 I am absolutely loving the bomber jacket trend for this Autumn/Winter season. 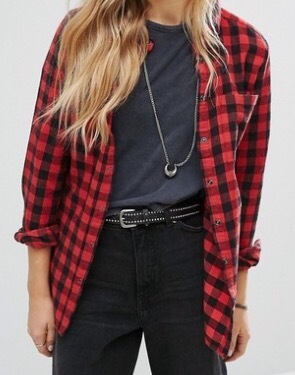 There’s something a little bit Grease Lightning about this look that will give your outfit a real retro feel! But if you don’t feel like going the full monty in a Pink Ladies get-up, opt for a classic khaki or navy shade- the perfect colour to style any off-duty winter look. Bomber jackets are an essential for these cold casual days- multi-tasking to shelter your body from the rain whilst keeping you cosy and warm. I love Topshop’s range of the faux fur addition to bombers- keeping you super snug inside its fluffy lining. I’ve just purchased myself a navy bomber from a shopoholic’s app called Vinted and I already can’t wait to style my new jacket!